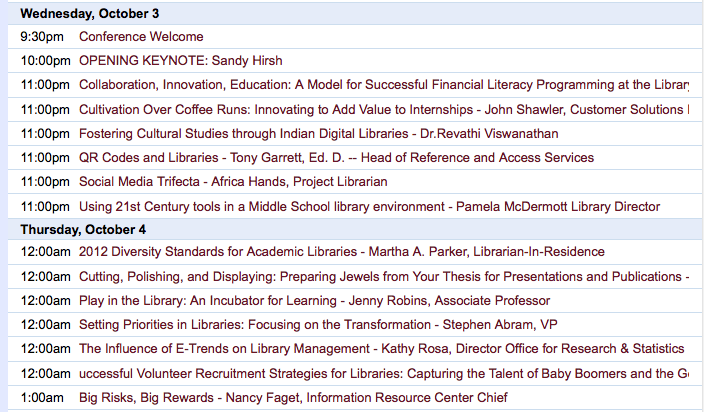 The Library 2.012 Worldwide Virtual Conference will be held October 3 - 5. The conference will be online, in multiple time zones over the course of two days, and free to attend! The School of Library and Information Science (SLIS) at San José State University is the founding conference sponsor. Register as a member of this Library 2.0 network to be kept informed! There are some great things on.... in the middle of the night. Perchance, are any of you presenting? Okay, here are the shortlists. The lists are stored on our ISLN GoodReads shelves. NB: Two books have two titles (in two different countries) -- same text! Ron Starker in the SAS Middle School made some very fun videos with his students to introduce the library. 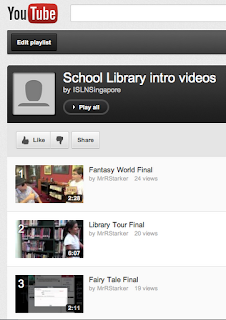 I've put links to them on an ISLN YouTube playlist called "School Library intro videos". The videos introduce basic library organization, genres, and how-to use Destiny/Quest to find books. If anyone else has videos they've created and want to share, send me the link and I'll put them on a playlist. 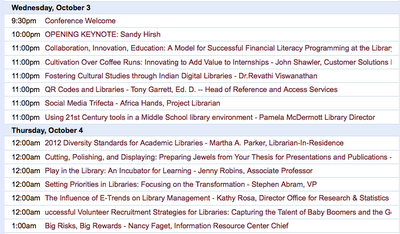 Maybe we'll be able to have some short videos of Hands on Literacy moments that we can upload after the conference. Just a new place for us to share things we've created.